A quote by Pidi Baiq, an Indonesian author, that you can find beneath an underpass near the Asia Afrika Street. 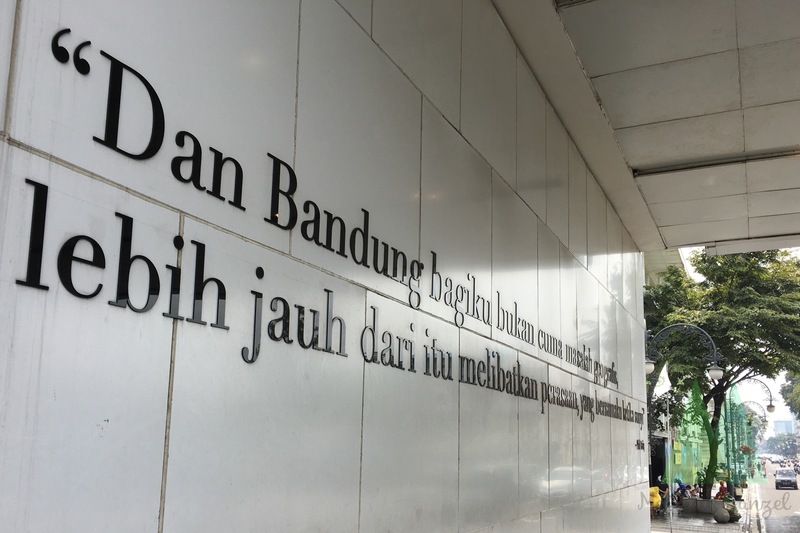 I think I understand why the quote is placed here—for many, Bandung is a city too romantic, involving a lot of feeling, arousing emotions. This is indeed a touching way to depict a city that comforts so many for so many years.